Description: The building faces north and is a two story red colored brick and stone structure. The building located on spacious grounds and is 65 feet by 92 feet. At each entrance is a small white colored wood portico on the first story. The center sections rise to peaked gables at the roof line. 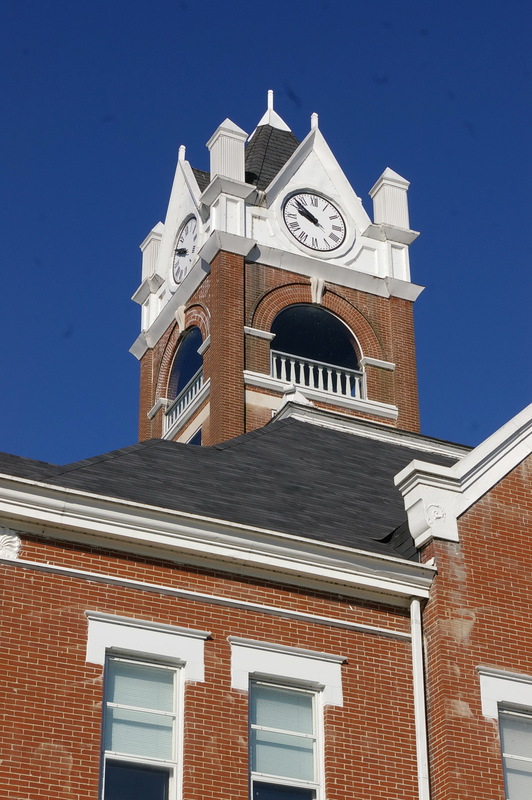 On the center of the roof is a high square clock tower with peaked roof. There are horizontal bands of stone. 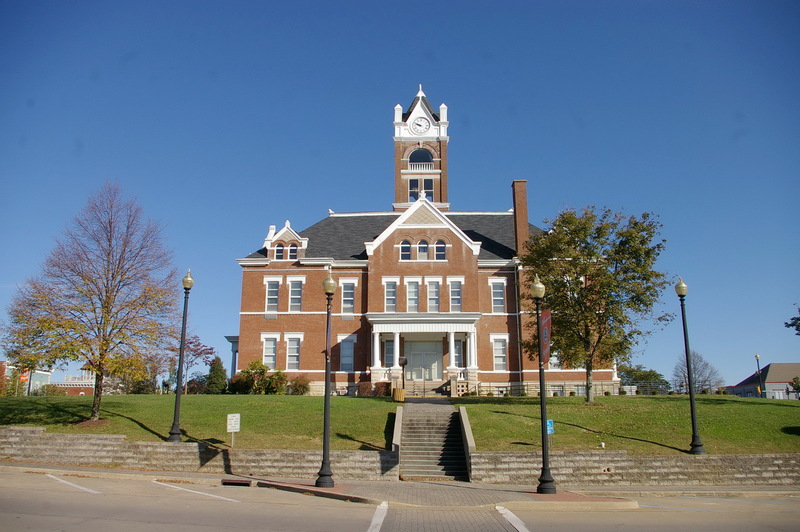 Note: The first courthouse was built in 1825 at a cost of $1,486.25. 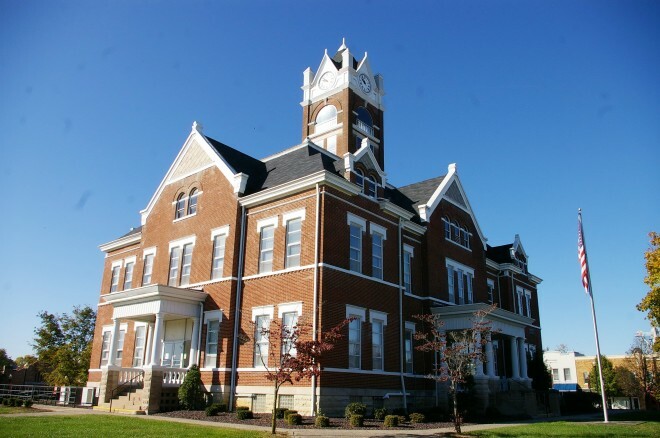 The second courthouse was built under the supervision of John R Layton in 1861 at a cost of $8,000. 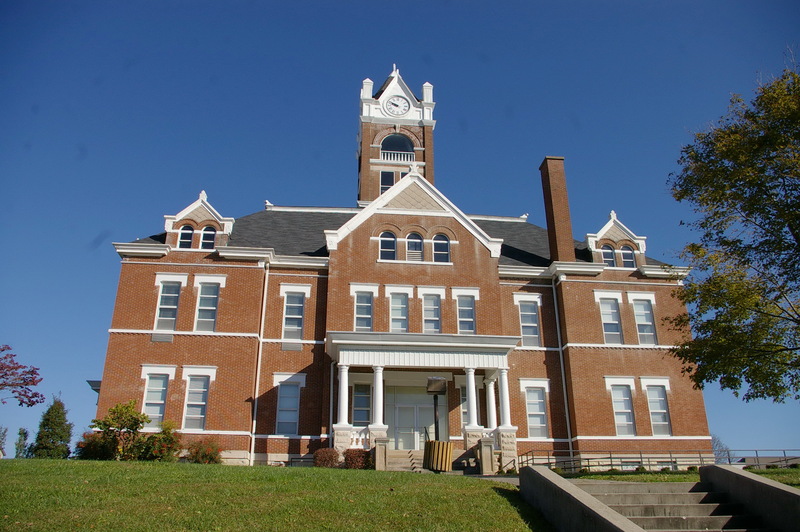 The cost of construction of the present courthouse was $31,819.